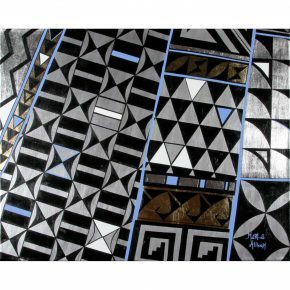 Marla Allison is a full-time artist and member of the Pueblo of Laguna Pueblo, (New Mexico) currently residing on the Pueblo. 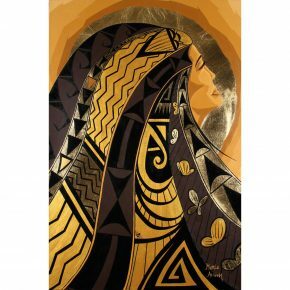 In 2008 she won the inaugural Innovation Award at the Santa Fe Indian Market for her painting, “Mother”, which is now alongside her painting, “Father”, in the permanent collection of the Heard Museum in Phoenix, AZ. Following the award, Marla was invited to be a Storyteller at the Business Innovation Factory (BIF) in Providence, RI, which is the East Coast equivalent to TED Talks. 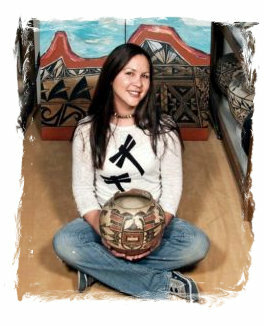 In 2010, Marla received the Native Woman’s Fellowship at the School for Advanced Research in Santa Fe, NM. Recently, in March of 2016, Marla won Best of Division, 2D artwork, at the Heard Museum Indian Market for her painting “Labor of Love” which was purchased by the La Fonda Hotel for their permanent collection in Santa Fe, NM. 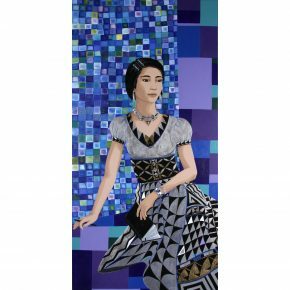 Her first solo exhibition was at the Loma Colorado Library in Rio Rancho, NM in 2016. In 2017 she had another solo exhibition at the Indian Pueblo Cultural Center in Albuquerque, NM. Recently Mrs. Allison returned from a month-long artist residency in Abu Dhabi, UAE from April –May 2017. Marla Allison is a from Laguna Pueblo in New Mexico. 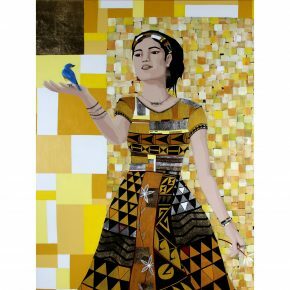 She lives and makes art from her home studio where she finds inspiration by connecting with family, tradition, and being close to her community. 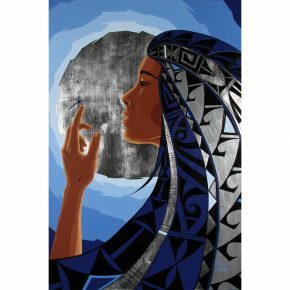 Marla is a contemporary Native artist whose primary medium is painting. All of Marla’s paintings have a “gallery wrap” so the painting continues onto the side so that framing is not necessary. 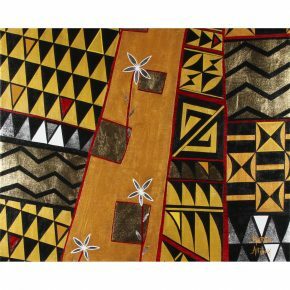 Allison began her expression through art in her youth and gained formal education at the Institute of American Indian Arts (IAIA) in Santa Fe, NM where she obtained an Associates Degree in three-dimensional art. 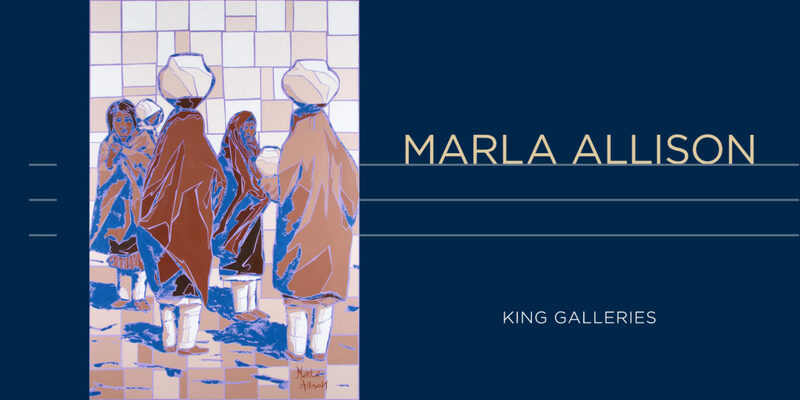 Since graduating from IAIA, Marla has exhibited artwork at the Heard Museum Indian Fair and Market, the Santa Fe Indian Market, and the Smithsonian Native Art Market in New York. Permanent collections with Marla’s work are found in, The Heard Museum Permanent Collection (Phoenix, AZ), The Museum of Indian Arts and Culture (Santa Fe, NM), The Red Cloud Indian School Collections (Pine Ridge, SD) and various private collections around the country and also Rome, Italy. She was also the 2010 recipient of the Eric and Barbara Dobkin Native Woman’s Fellowship at the School for Advanced Research (SAR) in Santa Fe, NM.